If you're looking for the BEST book formatter or graphic designer that isn't afraid to go the extra mile to help you in your business endeavors, look no further! Marraii Design is here to do whatever it takes to get you there. No question goes unanswered, no project left behind. Check out my feedback—over 4000 five-star ratings praising Marraii Design abilities as a formatter, typesetter, and designer. On this page you'll find just some of them, randomly picked from the lot. +4000 reviews, 100% success rate! Marraii Design clients come from all over the world. Nat is a great person to work with. She is quick to respond, flexible, and very patient. We are very happy with the ebook and paperback formatting of our book. She gave us various options for cover design, and offered many useful tips along the way. 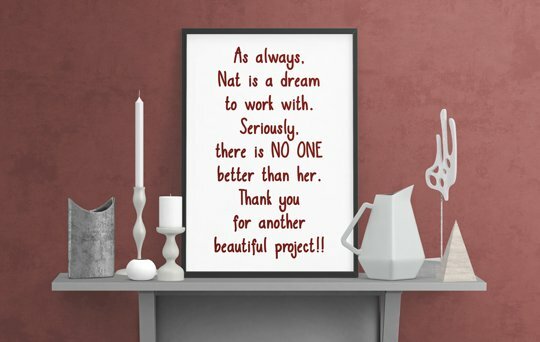 I look forward to working with Nat again. This seller is #1 here. After trying others I know for a fact she is good. Customer service excellent and work for smashwords. This is one of the most professional and greatest gigs for any Author on Fiverr! will use again and again and again!! Great work again from my favorite Fiverr Gig! After one and a half year still exceeding expectations every single time 🙂 Thank you very much! Wonderful service, as usual! I'm a repeat customer and appreciate how extra care is given to each project. Thank you! Once again, excellent service that goes beyond what is expected. This is my third book formatted and a service i don't hesitate to recommend. This was such a professional experience. Confidently took control, asked all the right questions and delivered on time. As always, Nat is a dream to work with. Seriously, there is NO ONE better than her. Thank you for another beautiful project!! Thank you so much! I've struggled with Smashwords for years. You just saved me a ton of time and stress. Appreciate your professionalism in providing this great service! I say this from the bottom of my heart: superlatives cannot do justice to the kind of craftmanship and all around customer satisfaction that Bookaholic provided me throughout this process. I will most definitely work with him again. As usual, you never cease to amaze me with the amazing work, unbelievable professionalism and reliability that you offer. I would highly recommend hiring bookaholic for your publishing and formatting needs!! Thank you so much! What an amazing experience with this wonderful professional! She goes far beyond the formatting task by being helpful and providing information to clear things up at every step. As a newbie on Smashwords I really appreciated the extra help and felt like I can count 100% on what the seller told me. PARFAIT ! Vous pouvez vous fier à ses compétences sans problème. Travail sérieux, rapide et conforme à ce qui a été demandé. Merci beaucoup. Always a brilliant experience working with Bookaholic. Not only a job well done always but she takes the time to explain and answer any questions. I have used her several times and wouldn't use anyone else. Thank you for excellent service- I will be recommending you to everyone! An excellent designer with outstanding interpersonal skills, a great attitude and a tremendous perseverance and dedication. She never stops until she is sure that she has given the best of herself. I couldn't be happier with her performance. I strongly recommend it. R. Allen Chappell – Author of the Navajo Nation Mystery series. Our recent association with Marraii Designs has been a rewarding experience, producing results we feel are significantly beneficial to our book line. Natasha is eager to meet challenges, and does so with confidence and an intuitive understanding of our goals. She is accomplished in many facets of e-publishing and is both accommodating and easy to work with. Highly recommended. This person's work is absolute GENIUS! Highly recommended if you want to make your book series look stunning! Thank you very much for your initiative. I believe I've been using Book-aholic for more than a year. The best!! This was exactly what I pictured! I love the shadow detail beneath the box set to give the appearance of depth. Fantastic. I will be coming to you when I release my next box set. Marraii has captured the essence of my business in a great design. Not 1, not 2 but all 13 friends who I had asked to vote selected the same design as the winner ... She also provided all files in all possible formats, even without me asking. Very professional and creative designer. HIGHLY RECOMMENDED! Great designer and super flexible with our request after the competition was over. Thanks again Marraii!!! It was an absolute pleasure working with marraii on this design project for my logo. Since I am a very visual person, I often felt like I was overstepping the lines with requests asking for additional views. Marraii is an exceptionally talented artist and has qualities in her personality that made me feel comfortable in the world of design that is mostly foreign to me. I am truly happy with the results of her work and the whole line of communication during this entire process. My best to her and heartfelt thanks for everything! Marraii is a talented designer who grasped what we were looking for right way and created a logo that we're very happy with. She was quick to respond to all of our requests and professional in every way. We wouldn't hesitate to work with her again.